Rublev Colours Oil Medium No. 1 is mixture of linseed oil, purified and thickened by exposure to sunlight and air until it pale and viscous, and lavender spike oil. 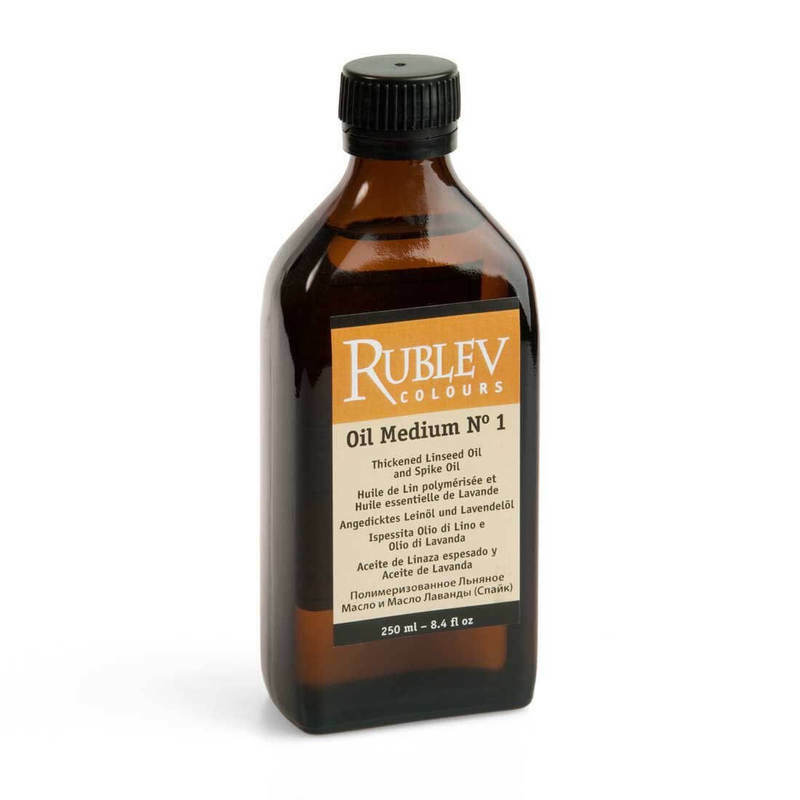 This medium dries the slowest of the three linseed oil mediums. WARNING! Contains Lavender Spike Oil. Avoid eye and skin contact. Avoid long exposure by inhalation. Do not take internally. Use with adequate ventilation. Keep out of reach of children. Conforms to ASTM D 4236 health requirements.